Vanquish the Bad Bot is a Side Quest in NieR: Automata. "Pascal needs someone to defeat a machine lifeform that is attacking the children. Head to the playground and put and end to its rampage." "Pascal is relieved. You protected the children and the pacifistic machines in the village. Unfortunately, you also gained a lot of affection in the process." 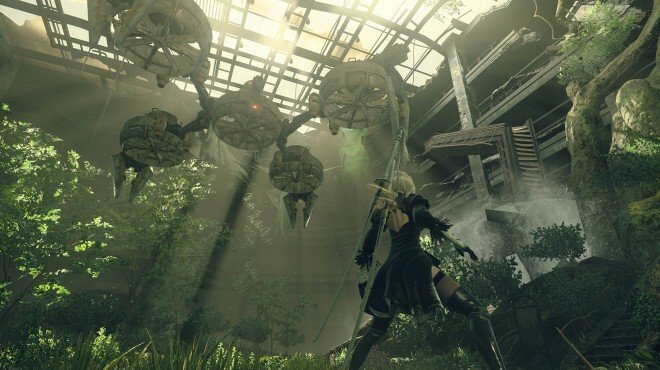 On your third playthrough, as you are in control of A2, you will visit Machine Village during the quest Maintenance. Talk to Pascal after obtaining the Fuel Filter to trigger this quest. Simply go down to the ground level and defeat the machine here, then return to Pascal for a reward. This quest unlocks the next main quest: It Takes a Village. I remember doing the quest. It also says that you need it to unlock the next main quest and iv finished the game so why isnt it done ?